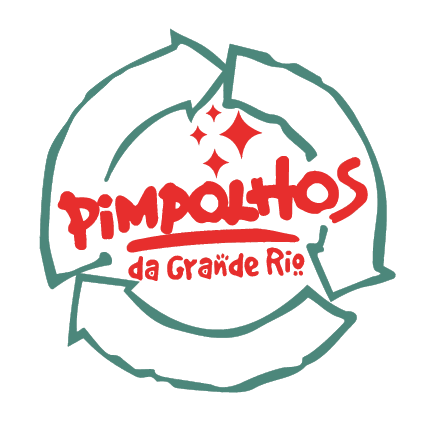 The Pimpolhos Carnival for the year of 2011 is being developed from the memories; experiences, discussions, participation and exchange of a collective of people; residents of the Port Region, residents of Duque de Caxias, artists, teachers, educators, producers and children. After one month of introduction to carnival, the group split up into 3 specific abilities: Set design for the floats / Clothing and props for costumes / Wire modeling and props for costumes. Each group created a storyline inside the thematic of the memory and these storylines became a parade map with names for the aisles, floats and couples of Master of Ceremony and Flag Bearer Lady. These names were randomly distributed to the 30 participants, with luck, creativity and everyone`s participation, we built our storyline for 2011: … our tales… We’ve transformed the old parade format which was composed by sectors and isles in tales and characters. These tales will be staged in the presentation of the prototypes of the costumes for the 2011 Pimpolhos parade. In the Carnival School, we created the storyline and now we are in the process of confection of 10 costumes and 1 float created by the participants of the course. In July we will produce the tales in form of theater, the exposition of the process of creation, the video documentary of the project and the presentation event setting of the Carnival School. All of this process comes from each ones experience; allying culture, environmental conscious and social participation to the process of creation of the storyline, the costumes, the floats, the educational activities and cultural events that follow our carnival development. Every year Pimpolhos matures more their way of making carnival, looking to interact more and more with the children, never failing to propose ludic and educating storylines. The goal is to use the carnival storylines to pass on fun ideas, which make the child reflect on their attitudes, the environment, the school, the family, the politics and many other important things for their training as a citizen.